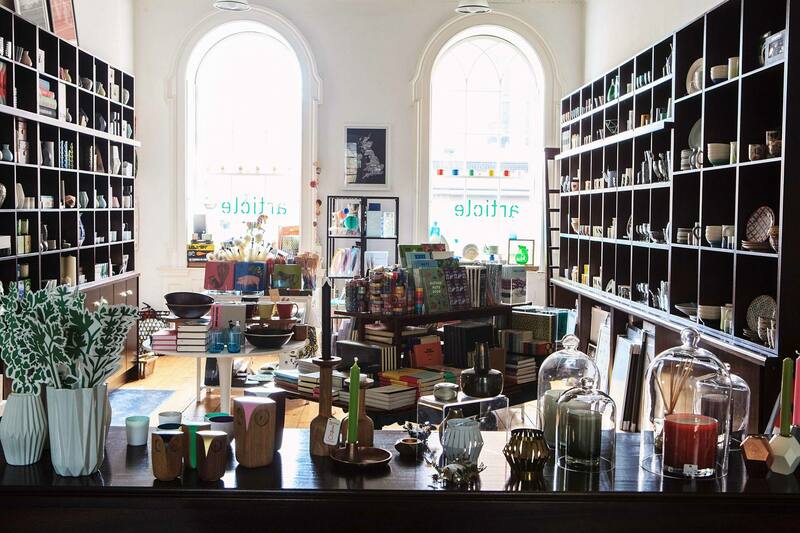 Continuing our Places to Visit Features today we are taking a look at some of the places that we love to visit in Dublin City Centre. In Dublin, there is no shortage of pubs and restaurants for a visitor to experience. There are also a few hidden gems that we are rather fond of so in this post, we explore a couple of our favourite local establishments and some unique places to see and hope this list will help you plan your Woollinn visit. A hidden gem in the middle of town is The Library Bar which can be found inside The Central Hotel on Exchequer Street. Stop in for some tea, coffee, or something stronger while you enjoy the charming ambience. Two doors down is Fallon & Byrne, a popular food hall with a wine cellar that serves up all sorts of nibbles and dishes to pair with your glass of vino, and a restaurant on the top floor. Are you looking for a more traditional Irish pub to take in the local atmosphere? There are so many to choose from and each with their own unique vibe and story. You’ll find Grogan’s a stone’s throw away from This is Knit where you can relax and peruse the local art that is hung on the walls. Grogan’s is well known for being a great local pub to order a ham and cheese toastie and a pint of Guinness for a no-fuss lunch while sitting outside and people watching the passerby. Be aware, Grogan’s is quite popular and can get very busy especially after 5 (especially on a Friday!). If the weather is on your side and you want to take in a hidden gem then why not consider a Stroll around the Iveagh Gardens. Pick up something delicious from the food vendors in George’s Street Arcade and have yourself a picnic in the Iveagh Gardens. You’ll find it a welcome retreat in the middle of the city. For a bit of craic (meaning fun! ), head on over to The Cobblestone in Smithfield where you will be met with a trad session every night. The Cobblestone is a Dublin must visit pub if Irish music is your jam. A mere ten minute walk away is The Legal Eagle, a beautifully renovated restaurant and bar that serves up reimagined gastropub dishes using locally sourced produce, and offers over twenty craft beers on tap and numerous wines and cocktails as well. They even make their own crisps in-house! If cocktails are more your style, stroll down Dawson Street and you’ll find a variety of popular cocktail bars where you can enjoy your drink in stylish surroundings. One quirky bar is Peruke & Periwig, where the intimate setting and creative decor are the perfect combinations to enjoy that handcrafted cocktail. They also have a restaurant upstairs (reservations recommended). And for a more chilled out vibe, Accents Coffee & Tea Lounge might be right up your alley. Order a cuppa, sink into one of the cosy couches and pull out your knitting! Article, Powerscourt Shopping Centre Dublin. If you are looking for something a little different then you can shop the work of contemporary Irish designers at Article. A curated selection of quirky yet functional pieces for the home can be found at Article, just a stones throw from This is Knit. Showcasing the work of many talented, contemporary Irish designers. Article carry the Studio Donegal wool throws which are produced with the goal of maintaining and preserving the long-running tradition of hand-weaving in South West Donegal. They would make a beautiful souvenir if you want to take a little piece of Ireland home with you. If you are a foodie then, Sheridan’s Cheese is a definitely not to be missed. They claim to have a selection of some of the best sandwiches in Dublin, but it’s the top Irish and European cheeses you’ll want to sample. The staff at Sheridans Cheese are all experts in cheese and will happily talk you through what they have on offer and you’re welcome to try the cheese before you buy. They are also a Certificate Excellence winner from 2015 – 2018 and if you don’t believe us then have a read of the TripAdvisor reviews here. Do you have any favourite places in Dublin City Centre that you would to share? We hope this little list of places to visit gives you some inspiration as you plan your Woollinn visit to Dublin!